Rick Lance Voice Acting News: What Does a Casting Director Look for in an Audiobook Narrator? 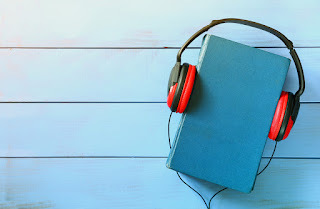 What Does a Casting Director Look for in an Audiobook Narrator? First and foremost, the right VO talent will have plenty of authenticity. They need to be an expert on what they’re reading, whether it’s fiction or nonfiction. When there’s dialogue, accents and colloquial use of words must ring true. Basically, the end result needs to be compelling enough to draw the listener in, and that’s not going to happen if it doesn’t feel authentic. If you’re passionate about a project, you’ll score major points with the casting director. Many try to match the project to the interests of the VO talent, because this makes for a much more passionate reading. The audience can tell if you’re interested in what you’re reading. This passion should also extend beyond the project itself, and to your career in general. When you’re passionate about what you do, that will show - and trust me, no one wants an actor who’s not invested in what he/she does. Casting directors really, really like working with talent that has taken the time to prepare for their project. Before you audition, find out as much information as you can about the project so you can start prepping. If you can, read the book and annotate the script with notes to yourself. Pay special attention to the characters and their wording, as this can affect pronunciation. If there are any specific accents being used, spend time practicing them or working with a dialect coach. These are just a few of the things an audiobook casting director will look, for they’re some of the most important. If you want to break into this sector of voice over, remember that you must be authentic, passionate, and well-prepared. You must also have a lot of vocal stamina. Audio book projects generally take a lot of time to record, edit and master. Be prepared and fully understand what you're taking on with each project... leaving enough time to complete one before moving on to the next.